Sharing Tips, Ideas, and Lesson Plans from the 100th Day of School - Kindergarten! 100 Days of School...it's a day we count up to each year, it's the teacher's milestone of *WE'RE ON THE DOWNHILL SLOPE*, and it's a day where our classrooms flip upside down to celebrate being 100 days smarter! Every day, from about day 89 to day 100, my kindergarteners would walk in the classroom and check our number line FIRST THING to see how close we were to 100. 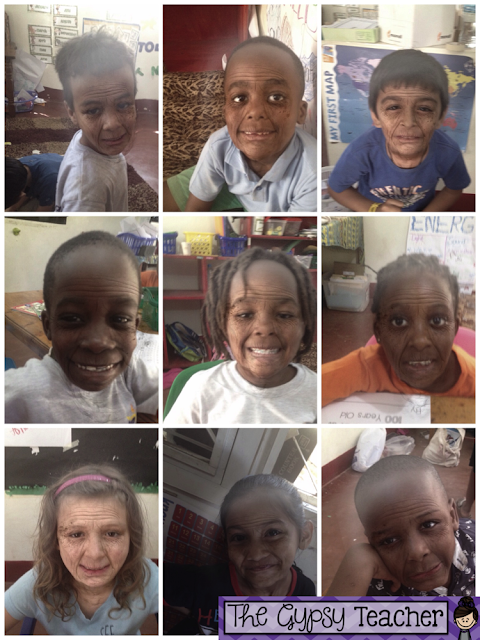 They were SO excited, and I couldn't wait to share our 100th Day of Kindergarten together! 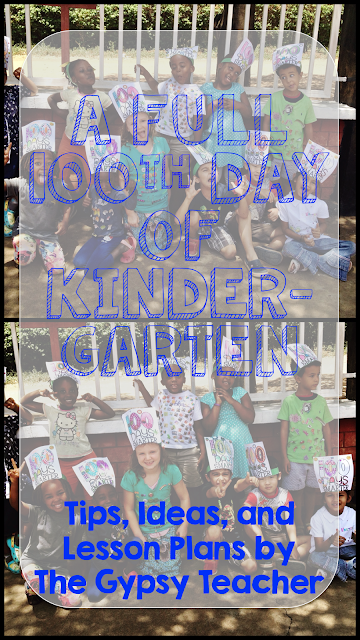 Here's are the 100 days of school activities for Kindergarten that we did! 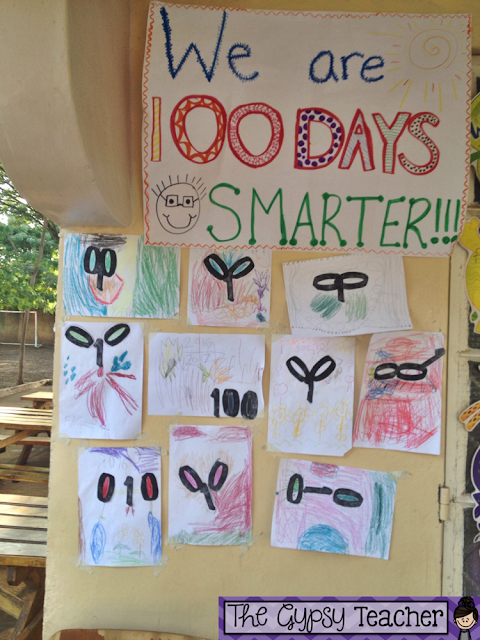 Our whole school wanted to do a 100 days of school project, something to celebrate the 100th Day school-wide. So we encouraged all our students make pictures using the 1 0 0, and we posted them outside our doors for the 100th day! I also made a sign that was up when my students came in on the 100th day of school! 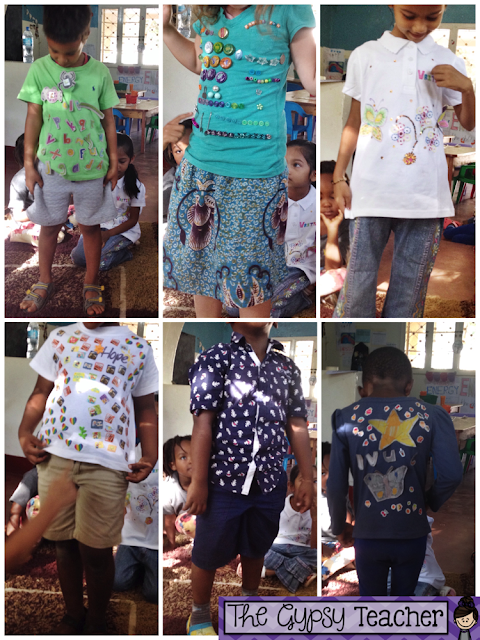 I gave the challenge to put 100 things on a shirt to wear on our 100th Day! During our Morning Meeting, we showed off our 100 Days of School shirts! I'm surprised at how creative they were! Here are a few of my favorites! After our morning meeting, where we also counted to 100 using our number line, and celebrated that we were 100 days smarter! 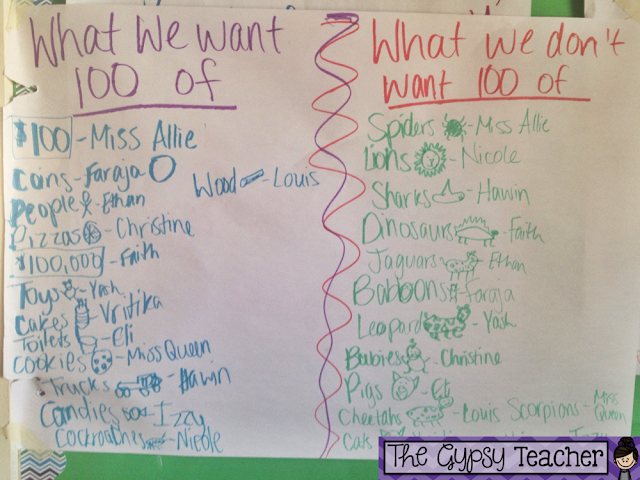 We made this really fun chart together as a discussion of what we would want 100 of and what we don't! I did this last year as well, and it's a lot of fun to hear each child's unique ideas and imagination. 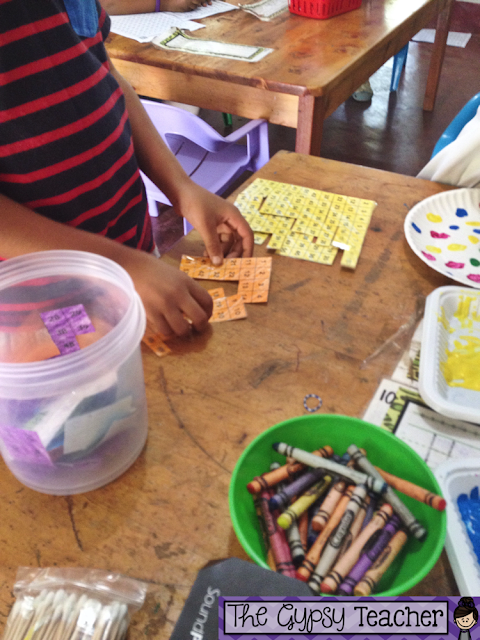 This idea came from Doodlebugs Teaching. We continued our 100 day activities all day long! We went outside and estimated/counted 100 steps. 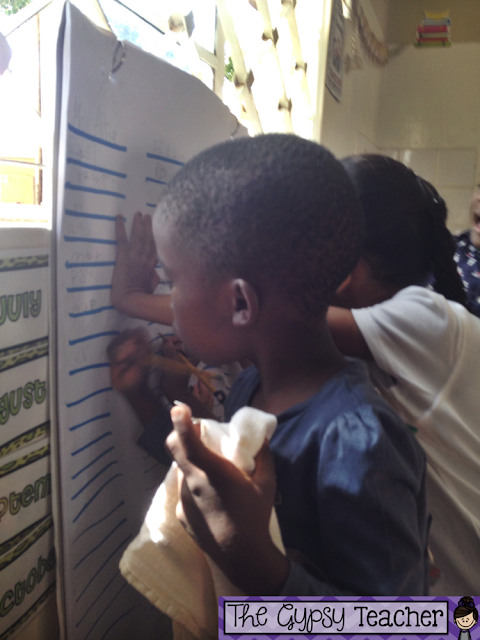 When we were finished, we tried to write 100 words! We didn't quite get there, but they worked hard and worked together! After a 20 minute snack/play break, we began our 100th Day centers! We had four centers that we rotated through. The first one was making a 100 Days of School craft with me! 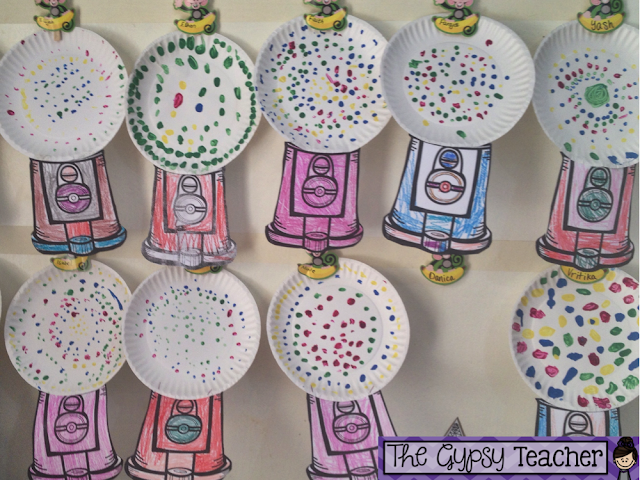 We made a gumball machine craft where we painted 100 dots on our paper plates using cotton buds. This craft came from Ashley Reed's 100th Day Hoopla Freebie! The second center was filling in a blank 100's chart! We've been working on that for the past few weeks, and it's always a good time to practice it! Some students needed a bit more guidance, so I let them use a filled in chart to help. But, others were lickety-split and did it all on their own! For the third center, my assistant teacher helped the students make 100 Day of School Crowns! They turned out SO ADORABLE! I printed out Maria from Kinder-Craze's 100th Day Hat template from her TpT store, and we pasted it on a piece of construction paper for each child. They got to decorate the 100 circles on the hat however they wanted- stickers, markers, etc. 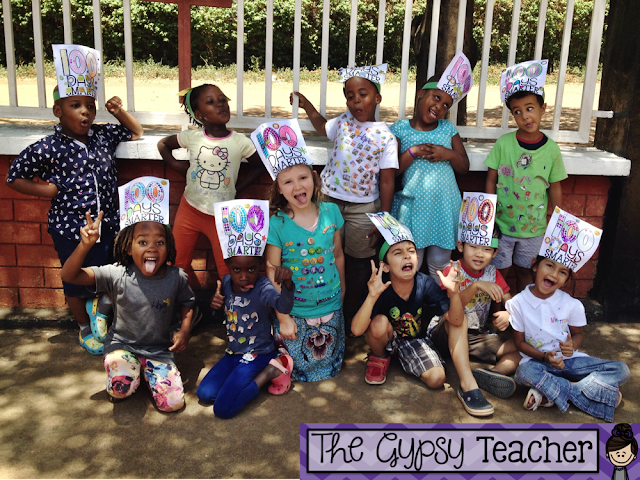 Then, we attached them to strips of paper and they became hats the kids could wear the rest of the day! If possible, I would recommend having an adult help at this center, putting the hats together and making sure the students are on task. The final center was the fan-favorite! 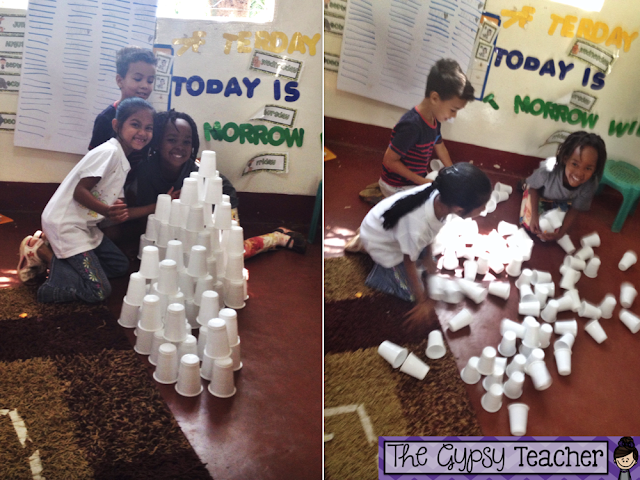 Making towers out of 100 cups ( and getting to knock them down!)! It's so simple, yet the students LOVE it! This is a 100 Days of School idea that all students would love to do! I also had two early-finisher activities ready, just in case. I had a "100 Year Old Self- Portrait" activity and I also made 100s chart puzzles! These were lifesavers for those students who like to rush through everything! After our centers, we went out for a class picture and everyone wore their 100th day crown! How cute are they!?! 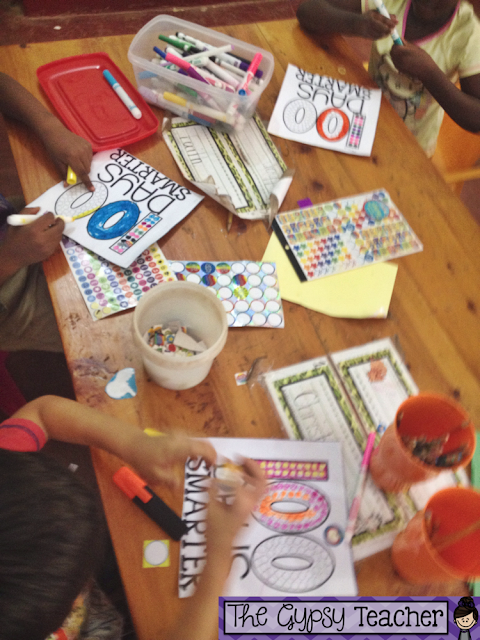 I also like to incorporate a whole-group literacy activity in the afternoon that helps the students practice labeling but also allows them to color and enjoy the day with their friends. 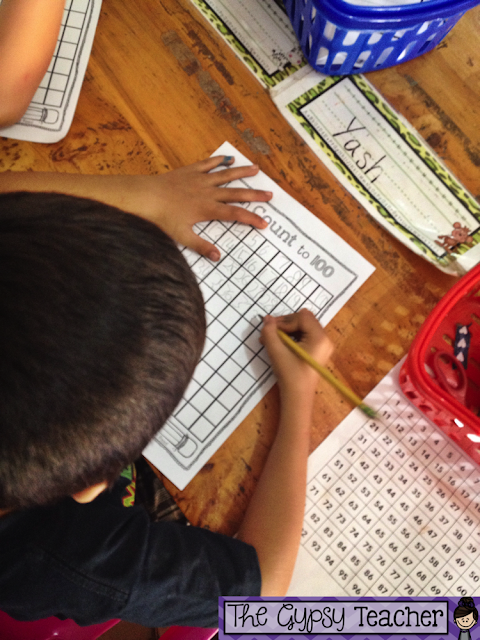 These 100th Day of School Printables are easy to use and differentiate for your students. You can click the picture to find more info and pictures! 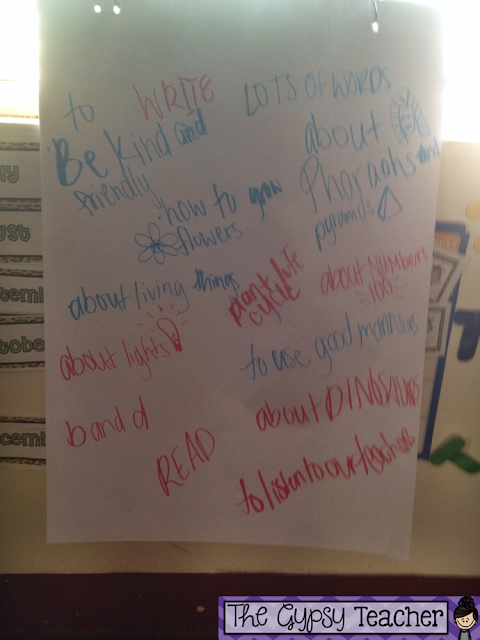 At the end of the day, we made a quick list of what we've learned so far! It was really sweet to hear from them what they remember, and what has stuck! Sorry for the bad picture! I seriously LOVE my kindergarten class! I have felt like, just in the past couple weeks, our classroom community has gotten so much stronger and they've really come together as a unified group! What do you do to celebrate the 100th Day of School?! Let me know in the comments! Also, use this picture below to pin this post, if you think these ideas might be helpful! 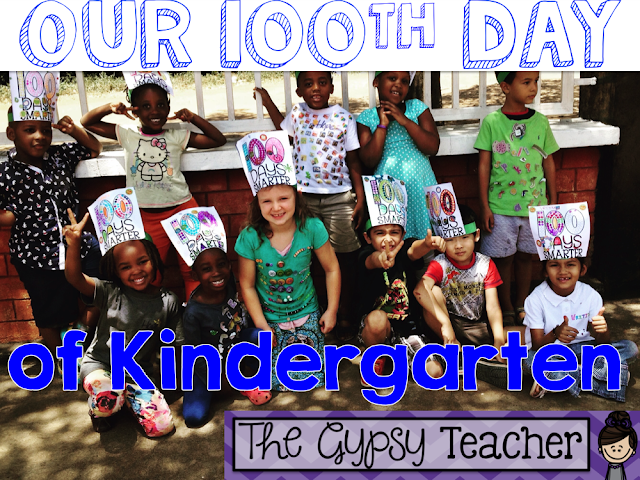 These activities can totally work for celebrating 100 Days in First Grade too!